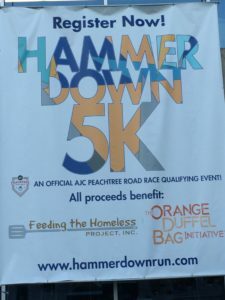 JE Dunn Hammer Down 5K Run – October 13, 2013 – FTHP, Inc.
What an INCREDIBLE morning of FUN!!! 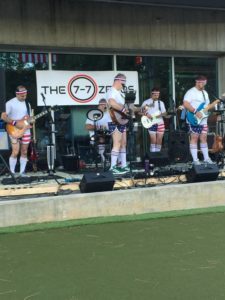 JE Dunn hosted their annual Hammer Down 5K Run this past Saturday, and runners from all over Georgia participated and even several FTHP family members joined in on the run and volunteered their time to this wonderful event. 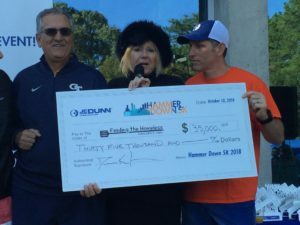 Feeding the Homeless Project, Inc. is blessed to be one of the recipients from the proceeds of this event and Dan Kaufman, President of JE Dunn, Southeastern Region, presented FTHP with a check in the amount of $35,000!!! 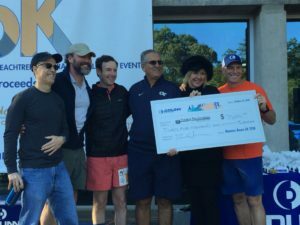 Yes, you read that right – $35,000!! WOWZA!! 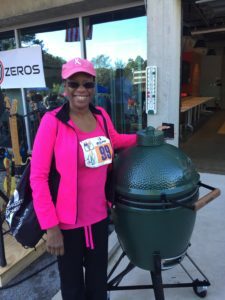 Also, we want to congratulate our very own Oretha Ogwotu who came out and ran the course AND was the grand prize winner of the Big Green Egg! 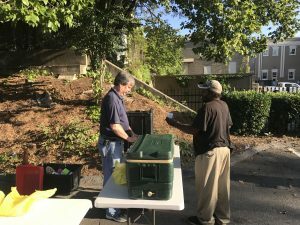 Way to go Oretha!